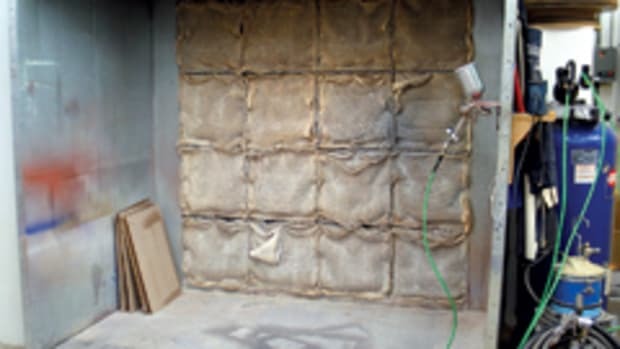 Transfer efficiency is the percentage, by weight, of a finish or paint that sticks to the target surface compared to the amount, by weight, of finish or paint that is sprayed. The greater the percent sprayed that sticks, the higher the transfer efficiency. Of course, weight refers only to the solids in the coating because the solvent evaporates. So getting a correct measurement becomes a little complicated. You need to find the weight of the solids from a material safety data sheet or contact the manufacturer of the coating for this information. It’s usually between 20 and 40 percent, with the rest being solvent that evaporates. 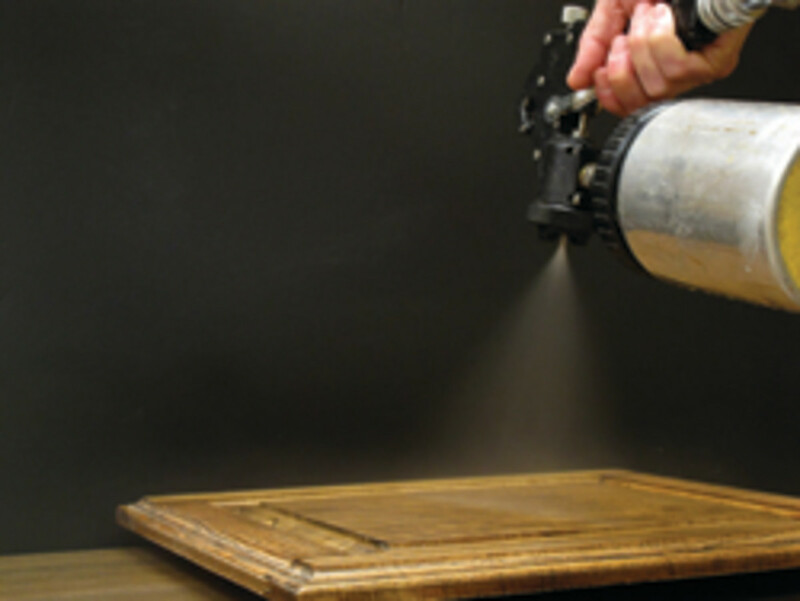 Transfer efficiency became an important measurement when HVLP spray guns were introduced in the early 1980s because it defines the purpose of HVLP — to produce a soft spray that bounces back much less than the spray from high-pressure conventional guns. It’s bounce-back, not overspray, that is important. Bounce-back is the amount of solids and solvent that bounces off the surface and is exhausted or falls to the floor. Overspray can include bounce-back because it’s also lost, but much of the overspray, often most, is the spray that simply misses the target. 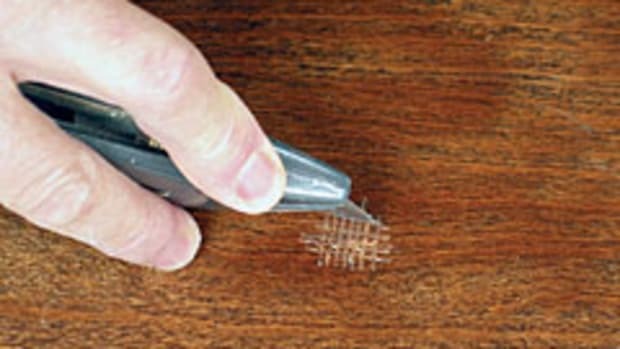 For example, you would have much more overspray from spraying the spindles on the back of a Windsor chair than from spraying a large tabletop. So, to design a test to determine bounce-back, you need to either account for the overspray that misses the target or use a design where all the spray hits the target. 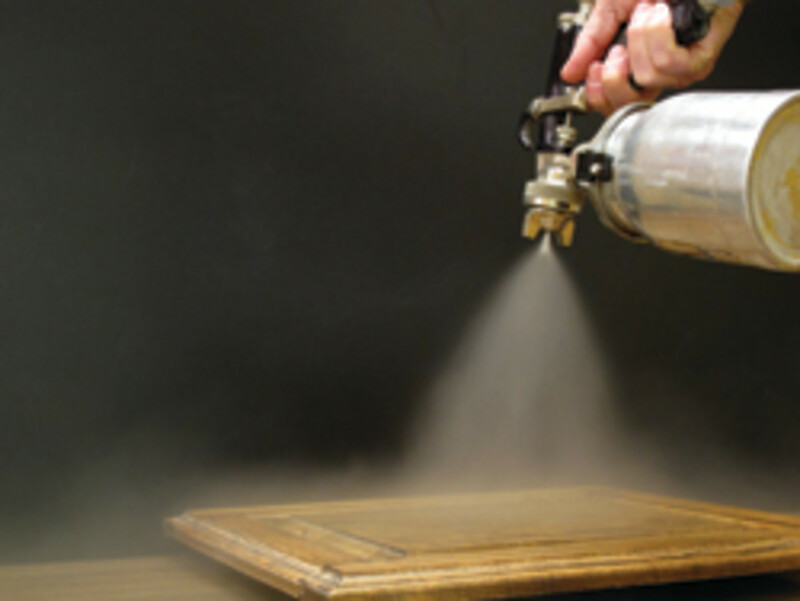 As I wrote in the November 2011 issue of Woodshop News, the search for a more efficient spraying technology began in Southern California, which was trying to reduce air pollution. In 1984, tests using turbine-supplied HVLP spray guns convinced the regulatory body, South Coast Air Quality Management District, that this technology was far superior to conventional high-pressure technology. HVLP technology was so much better, in fact, that it could cut the exhaust of polluting solvents in half, not counting the spray that misses the target, which depends more on the skill of the operator. In other words, by itself, even without the requirements that came later that forced a switch to higher solids or water-based finishes, a great deal could be accomplished just with the spray gun. The test results led to California regulators setting the maximum air pressure allowed in the Los Angeles basin to 10 psi at the air cap. As a result, the use of conventional guns was effectively eliminated. Other areas in the country have followed this lead. The regulators also set the minimum transfer efficiency of a spray gun at 65 percent, which eliminated the use of conventional spray guns. So 65 percent became the standard to be reached by each manufacturer, including those who made conversion guns that converted high-pressure air from a compressor to low pressure. It’s fairly easy to get results that show a significant difference in ranges among types of spray guns because the ranges are wide. You can even see these differences yourself just by using any two of the types, especially the difference between the soft spray of HVLP and the hard spray and noticeably greater bounce-back of high-pressure guns (shown in the two pictures). It’s much more difficult to get meaningful measurements when comparing two brands of HVLP spray guns because there is no standard measuring method used by all manufacturers. In the early years of HVLP, most manufacturers simply claimed “greater than 65 percent.” But then claims started trending higher, even up to 90 percent in some cases. It’s a marketing thing. So, though all HVLP spray guns might qualify with the California regulations (there’s some evidence that not all do), it’s less likely that the higher percentages claimed are actually reached. The difficulty could be intentional deception, but it is more likely just different ways of measuring (though this can be manipulated as well). Six metal panels measuring 6” x 48” and covered by pre-weighed aluminum foil are hung 6” apart (resembling a picket fence) and sprayed, keeping the spray entirely within the 48” height and 114” width. The aluminum foil on the middle six panels is then weighed after the coating has fully dried and the transfer efficiency is then calculated factoring in the solids content of the coating. But what about the 6” spaces between the panels? The idea is that this setup resembles a real-world situation in which some of the spray misses the target. But does it? 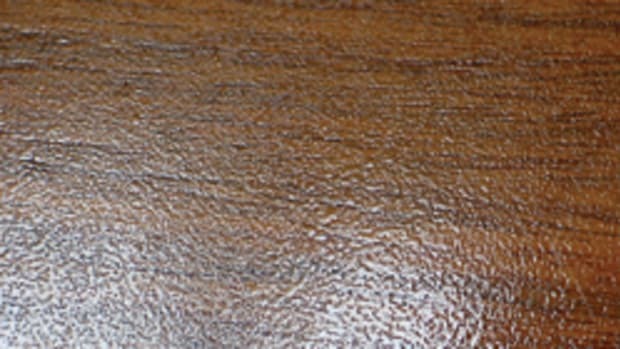 What about the results you would obtain spraying the inside of a cabinet compared to the above example of spraying the spindles on the back of a Windsor chair? 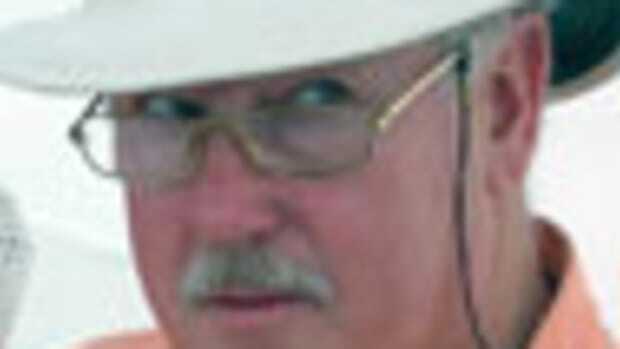 Or what about eliminating the 6” gaps between the panels and spray onto a 4’ x 8’ aluminum-foil-covered panel instead? There is too much room for variations and too much room for manipulating the results in your favor. Everyone would have to be using the exact same setup for the tests. So what does all this mean? Two things: that there are real and significant differences in transfer efficiency among the various types of spray guns. And that you can’t really rely on the different claims of manufactures when comparing spray guns of the same type for purchase unless you can determine that they both, or all, used the same setup for measuring.